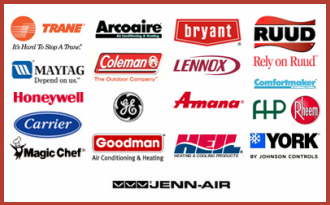 Air Supply Heating and Air Conditioning is a full service HVAC contractor, eagerly servicing the commercial and residential customers throughout the Las Vegas, Nevada Valley. As we are completely certified, licensed and insured, our specialists are able to deliver phenomenal experiences every time you call for our professional expertise at an affordable rate. 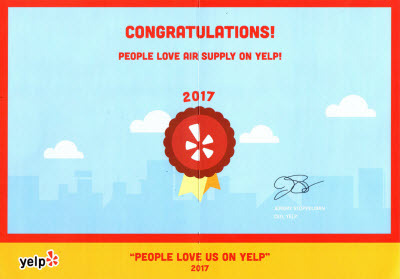 With our commitment to friendly customer service, traditional values, professional courtesy, and superior execution, you will quickly come to be a part of the Air Supply Heating and Air Conditioning family as well. Our technicians are among the elite, and with the aid of high-quality products and equipment, you can expect nothing less than the maximum outcome. 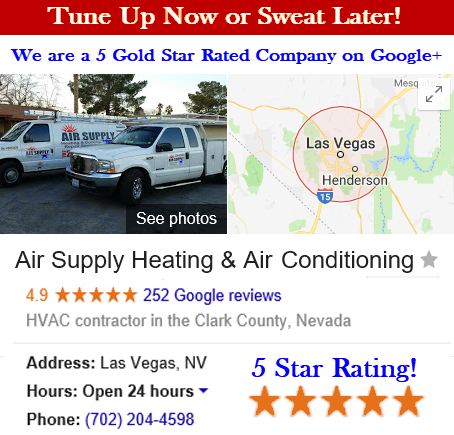 Air Supply Heating and Air Conditioning of Las Vegas, Nevada is constantly looking for ways to assist the commercial and residential property owner locally and in surrounding areas. In an effort to help make services convenient, we include troubleshooting services such as troubleshooting the noises from the furnace. With troubleshooting, there can be small things you can do to rectify a problem, or at the very least, explain in better detail what the problem is to the professionals of Air Supply Heating and Air Conditioning to expedite the repair process. When it comes to the noises your Las Vegas, Nevada commercial or residential furnace makes, it can be due to a number of reasons; some of which can be handled by the owner, most often require a professional. Common noises emitting from furnaces such as whistling, rattling, banging, and squeaking, which are the product of the furnace’s components having issues. Furnace Whistling Noises: A furnace that is whistling could actually be stemming from a gap in the air ducts. If you can pinpoint the sound, you may discover a small hole near the connecting point between the duct and the furnace, which is near the blower. A recent whistling sound may also suggest a clogged filter. Simply remove the filter to see of the whistling stops. If it stops and the filter is compacted with dust and debris, be sure to change it. Keep in mind filters should be checked monthly. Not only will you reduce the noise, but you will also minimize the wear on the motor. If the whistling is excessive and has been going for as long as you can remember, the ducts are likely too small. 1) Use additional screws to loosen ducts. 2) Loose ducts or other pieces of equipment can be secured with duct tape. 3) Place cork or rubber pads under the furnace if it is not on level ground. If the noise is originating from the furnace’s motor, the bearings can be the issue, which requires a professional repair. Banging Noises from Furnace: When the furnace is activated, the banging noise can be derived from 2 causes. It could be a small, explosion of sorts which is actually called an ignition roll out. The other is the duct work flexing when the pressure alters, which is known as oil-canning. 1) Ignition roll-out: This is not especially common, but it can be off-putting. A mini explosion occurs when the furnace starts up, where the burst of flame is bigger than what it should be. To check if this is the source of the banging noise, leave the doors on the furnace and watch when the furnace is flipped on and see if the doors are shaking, do it again with the door open to see what the flame does. If the issue lies with the flame call in the experts of Air Supply Heating and Air conditioning. 2) Oil-canning. When the furnace is turned on, listen to see if the banging noise is coming from the air ducts. It could simply be because the air ducts need to be secured if they are loose. Screw a thicker area down to the weaker spot to potentially reduce the noise. Squeaking Furnace Noises: The squeaking, or bang-like noise on the floor could be an indication the duct is too secure or an installation is nailed down poorly. 3) Replace with quality thermo-plan. 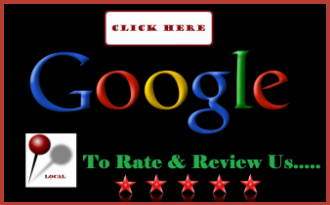 Furnace Troubleshooting & More in Summerlin, North LV, Henderson, Enterprise, Paradise, Sunrise Manor, Spring Valley, Aliante, Anthem, Desert Shores, Eldorado, Green Valley Ranch, Inspirada, Mountain’s Edge, Peccole Ranch, Providence, Rhodes Ranch, Seven Hills, Silverado Ranch, The Lakes, Tuscany Village & Las Vegas Nevada. When the furnace in your Las Vegas, Nevada Valley home or business is producing abnormal sounds, do not ignore them. In some instances, prolonging the repairs can cause a chain reaction that only makes a perhaps small issue turn into a major problem. Call in the experts of Air Supply Heating and Air Conditioning today to discover why the furnace is emitting loud noises.